With Glary Utilities, you can manage and delete browser add-ons, analyze disk space usage and find duplicate files. 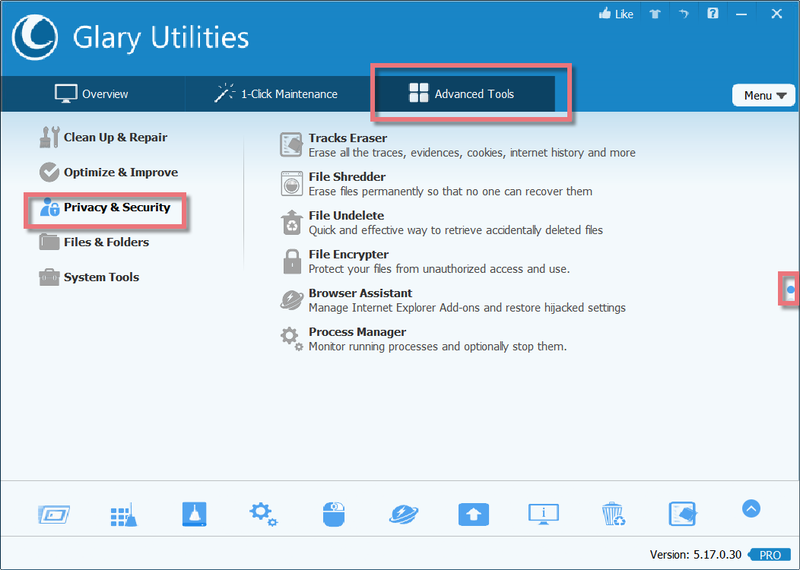 You can also view and manage installed shell extensions, encrypt your files from unauthorized access and use, split large files into smaller manageable files and then rejoin them. 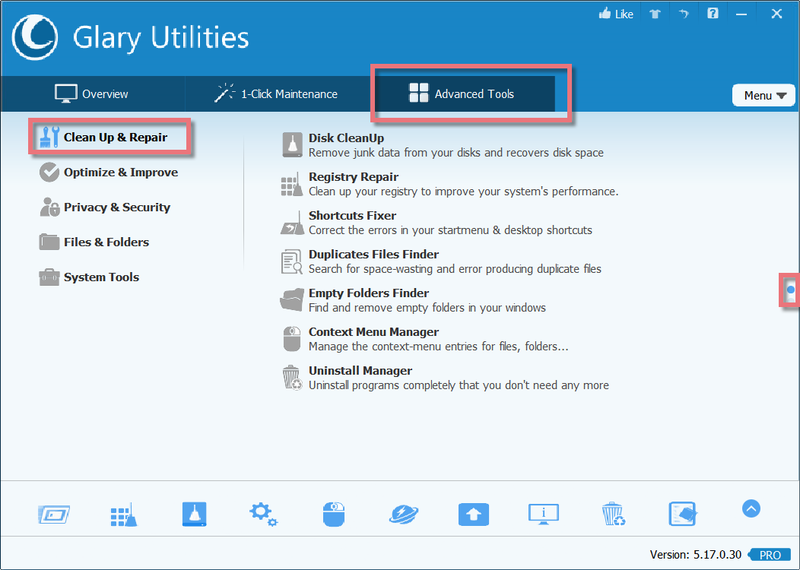 Furthermore, Glary Utilities includes the options to optimize memory, find, fix, or remove broken Windows shortcuts, manage the programs that start at Windows startup and uninstall software. Other features include secure file deletion, an Empty Folder finder and more. All Glary Utilities tools can be accessed through an eye-pleasing and totally intuitive interface. 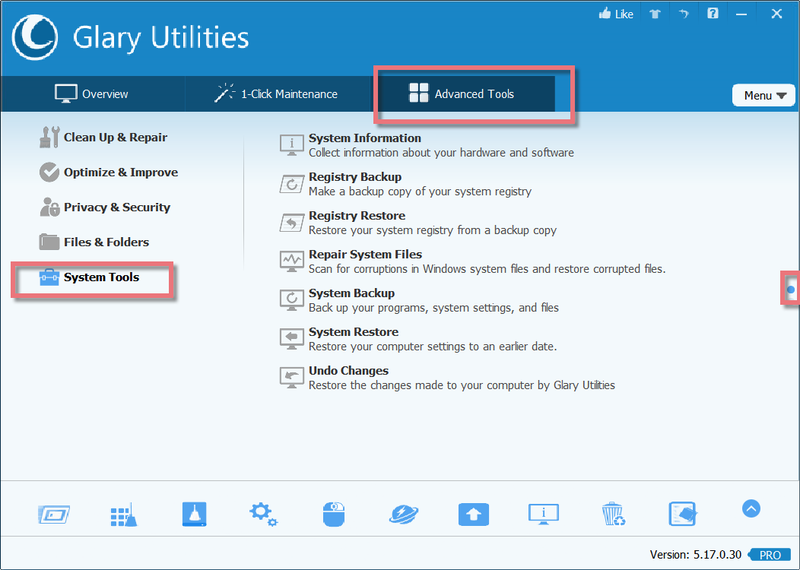 All Glary Utilities modules can be accessed through a common interface that is divided into five categories. 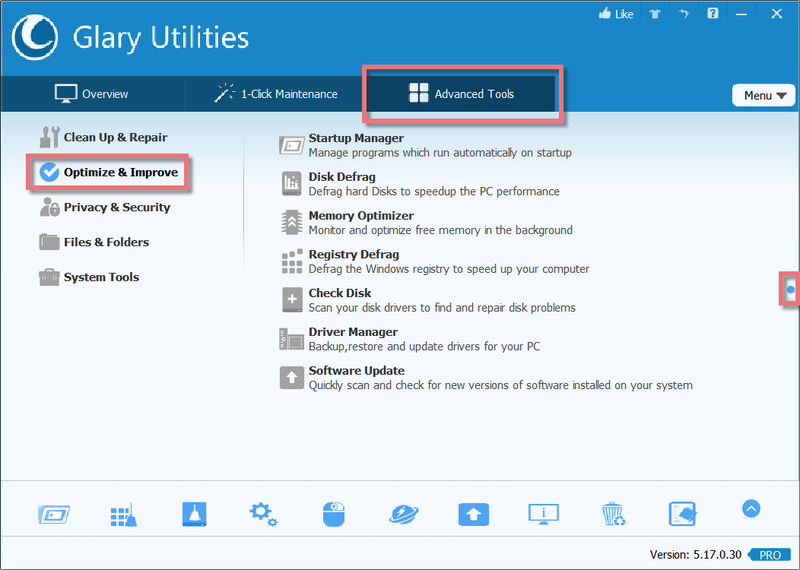 Registry Repair: Scans and cleans up your registry to improve your system's performance.